I'm more than a little fascinated by the Illuminati, a historical secret society dating back to the 1770s and plagued by rumors and conspiracy theories. 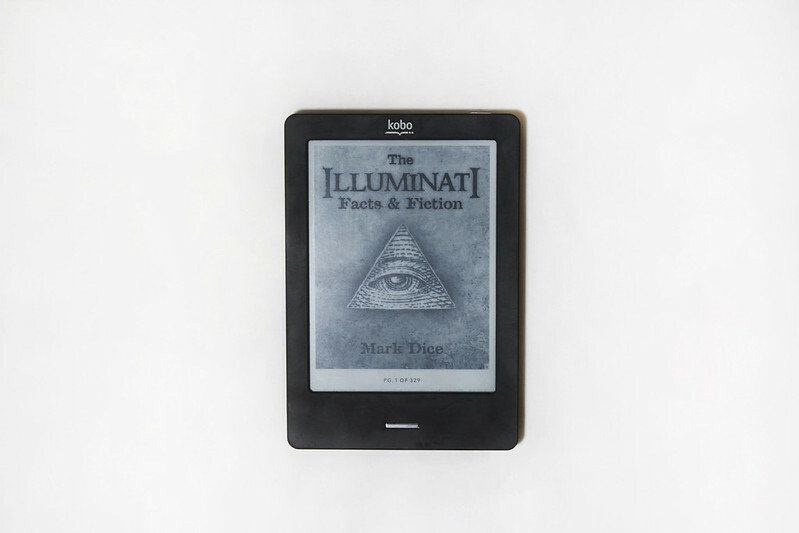 The author, Mark Dice, is a political activist and conspiracy theorist with some questionable personal opinions of his own so I read this book with one eyebrow firmly raised. This book sounds very intriguing... on an unrelated note, how do you like that Kobo reader? Absolutely LOVE it. Unlike the Kindle you can put pretty much any document on there (especially if you download Calibre). I still have a ton of books because I collect certain editions, but for those books that you know you'll only read once it's brilliant. It's so much easier to hold than a huge book too. I can't recommend the Kobo enough.